Happy Lunar New Year!! Year of the Rooster!! Wishing everyone a great year ahead. 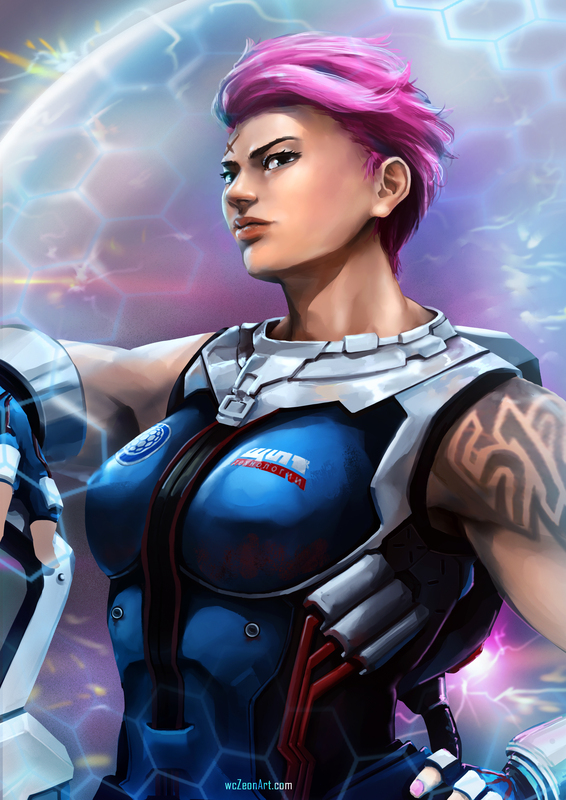 Its quite unexpected that I will like playing Zarya in Overwatch. Just interesting skill sets and game mechanics that make her fun to play. Trying to give a personal touch of how she is portrayed. Would like to keep her look more feminine but not giving up on showing those muscles. Rather fine line to balance those two contrasting attributes. A fan art of Mei from Overwatch. “the cold doesn’t bother me anyway”. That’s the idea that started this painting. Love those cross reference in voice line in overwatch. Wishing everyone a happy new year full of joy and happiness. Let’s take on 2017 with high spirit and make it a better year! !